Kushboo Ramnawaj (24) was crowned Miss Mauritius 2014 last Saturday. She stands 1.73m tall and will represent Mauritius at Miss Universe 2014. 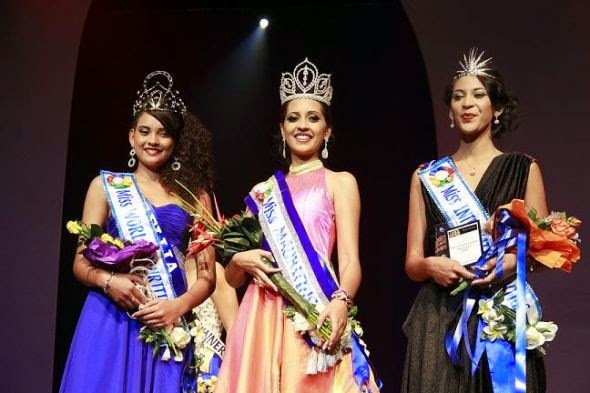 At the same event, 19 year old Aurellia Begue was crowned Miss World Mauritius. Begue stands 1.75m tall, and will compete for the 2015 Miss World title. Miss International Mauritius 2014 is Anoushka Keng. She is 19 years old and stands 1.7m tall. Keng will travel to Japan in October to represent her country at this year's Miss International Pageant.